Washington (AFP) - Former US defense secretary Jim Mattis, who quit in December after disagreeing with President Donald Trump's Syria policy, is to return to his research post at Stanford University in California. The Hoover Institution, where the retired Marine general taught from 2013 after leaving the military, said Mattis will return in May. 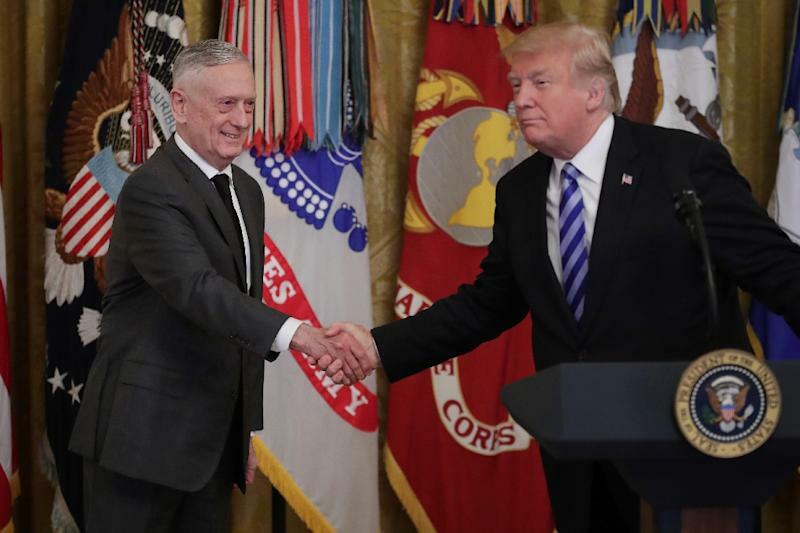 "The wealth of knowledge and experience of an already extraordinary career has been made even richer by General Mattis’ latest endeavor as Secretary of Defense," said the institute's director Tom Gilligan. The Hoover Institution, a research center specializing in international relations, said Mattis would "focus his research and writing on domestic and international security policy." Mattis joined the institute in 2013 after being fired from his post as head of the US Central Command by then president Barack Obama over differences on Washington's Iran policy. He left the research center in 2017 to become Trump's defense secretary, but resigned from that position after Trump announced a unilateral withdrawal from Syria without consulting US allies in the coalition that is battling Islamic State militants in Syria. Mattis' duties at the Hoover Institution will include authoring research papers, participating in conferences on national security issues, and teaching. "I believe we have an obligation to pass on the lessons we’ve learned so that future generations can study, learn and become better," Mattis said, according to the statement. The Hoover Institute is considered to be conservative-leaning, having taken on several former senior officials as fellows, including George W Bush's secretary of state Condoleezza Rice.